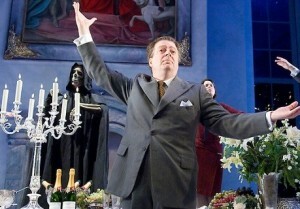 Afterlife sees fine performances, especially from Roger Allam as Max Reinhardt. Sadly the play itself is as much esoteric endurance as enjoyment. One of London theater’s great charmers, Allam puts in a tireless performance as Reinhardt and wins sympathy, but it’s an uphill struggle and even so skilled an actor can’t disguise the effort involved. ebullient control freak of a man who directed scores of filmic shows with hundreds of extras, animals and extravagant sets in Austria, Germany and all over the world – but who didn’t know how to talk to people tete-a-tete. 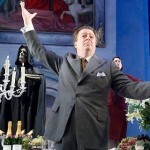 Though Roger Allam uses all his superb skills to make something of this play, I’m afraid it couldn’t salvage the mess that Michael Frayn had created for him. Max Reinhardt, the subject of Afterlife, is played impeccably by Frayn favourite Roger Allam, who is particularly good at portraying reflective moments of despair.